Herhalde Berlin Flarmoni deyince hemen Herbert Von Karajan ve onun ismi geçince de Berlin Flarmoni ismi gelir klasik severlerin aklına. Bu eşşsiz ikilinin LP lerini almak ve dinlemek benim için büyük bir zevk her zaman.İşte bu birlikteliğin muhteşem sonuçlarından biri kolleksiyonumda yer alan 1963 yılında DGG'den 7 LP lik box olarak yayınlanan Beethoven 9 Symphonien eserini . Box set yanında 42 sayfalık kitapçığı ile tam bir vaha kayıt eşsiz. 1. Symphony no 1 in C major, Op. 21 by Ludwig van Beethoven Conductor: Herbert von Karajan Orchestra/Ensemble: Berlin Philharmonic Orchestra Period: Classical Written: 1800; Vienna, Austria Date of Recording: 12/1961 Venue: Jesus Christ Church, Berlin Length: 24 Minutes 57 Secs. 2. Symphony no 2 in D major, Op. 36 by Ludwig van Beethoven Conductor: Herbert von Karajan Orchestra/Ensemble: Berlin Philharmonic Orchestra Period: Classical Written: 1801-1802; Vienna, Austria Date of Recording: 1961-62 Venue: Jesus Christ Church, Berlin Length: 30 Minutes 58 Secs. 3. Symphony no 3 in E flat major, Op. 55 "Eroica" by Ludwig van Beethoven Conductor: Herbert von Karajan Orchestra/Ensemble: Berlin Philharmonic Orchestra Period: Classical Written: 1803; Vienna, Austria Date of Recording: 11/1962 Venue: Jesus Christ Church, Berlin Length: 49 Minutes 53 Secs. 4. Symphony no 4 in B flat major, Op. 60 by Ludwig van Beethoven Conductor: Herbert von Karajan Orchestra/Ensemble: Berlin Philharmonic Orchestra Period: Classical Written: 1806; Vienna, Austria Date of Recording: 11/1962 Venue: Jesus Christ Church, Berlin Length: 30 Minutes 49 Secs. 5. Symphony no 5 in C minor, Op. 67 by Ludwig van Beethoven Conductor: Herbert von Karajan Orchestra/Ensemble: Berlin Philharmonic Orchestra Period: Classical Written: 1807-1808; Vienna, Austria Date of Recording: 03/1962 Venue: Jesus Christ Church, Berlin Length: 31 Minutes 7 Secs. 6. Symphony no 6 in F major, Op. 68 "Pastoral" by Ludwig van Beethoven Conductor: Herbert von Karajan Orchestra/Ensemble: Berlin Philharmonic Orchestra Period: Classical Written: 1808; Vienna, Austria Date of Recording: 02/1962 Venue: Jesus Christ Church, Berlin Length: 35 Minutes 42 Secs. 7. Symphony no 7 in A major, Op. 92 by Ludwig van Beethoven Conductor: Herbert von Karajan Orchestra/Ensemble: Berlin Philharmonic Orchestra Period: Classical Written: 1811-1812; Vienna, Austria Date of Recording: 03/1962 Venue: Jesus Christ Church, Berlin Length: 34 Minutes 18 Secs. 8. Symphony no 8 in F major, Op. 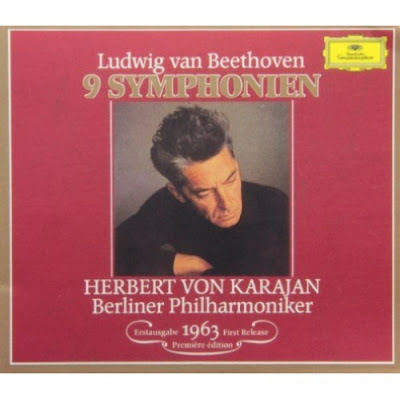 93 by Ludwig van Beethoven Conductor: Herbert von Karajan Orchestra/Ensemble: Berlin Philharmonic Orchestra Period: Classical Written: 1812; Vienna, Austria Date of Recording: 01/1962 Venue: Jesus Christ Church, Berlin Length: 26 Minutes 12 Secs.